et’s face it, we’ve all googled “How to get idol-like skin” before. And how not to? No matter if they’re on a stage, in a music video, or barefaced at the airport, idols always showcase a perfectly smooth, fresh, and young complexion. While I used to think it was all about what you were born with, I’ve discovered it’s not all in your DNA and that there are actually tons of things you can do from the comfort of your home to try and reach your goals for great skin. From special techniques to great ingredients to use and even DIY treatments, here are some of the best skincare tips from idols you should add to your routine ASAP. Did you know you should only use your ring finger when applying eye cream? The skin around our eyes is the thinnest and most sensitive on our faces, so we should treat it with delicacy. Our ring finger is the weakest one, which is the reason why we should use it to pat eye cream in, but for JooE, this rule applies for her whole face. As she told Allure’s Devon Abelman, she only applies her skincare products using her ring fingers. That’s it. This super gentle technique will probably add a few minutes to your routine, but it will also give your skin a little break from the constant patting and rubbing. This one right here is kind of a controversial one. Some love it, some hate it. This technique calls for rubbing cleansing oil on your face for four minutes, rinsing it off with lukewarm water, then two minutes of rubbing foam cleanser all over your face, after which you finally rinse it off for four whole minutes. The idea behind it is to get rid of any and every trace of makeup, sweat, dirt, and toxins trapped deep down in your pores, but it can be a little too drying for some, as you will basically get rid of every bit of oil on your face. 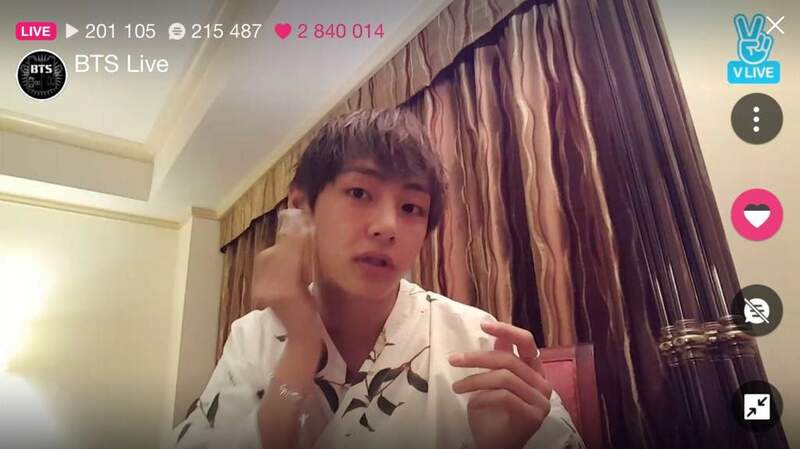 After spending lots of time traveling, Taehyung has learned that keeping his skin hydrated while on a plane is a must for it to stay and look healthy. Losing hydration and elasticity will only lead to dull skin, which he of course wants to avoid. While drinking lots of water is part of the deal, V damps cotton pads with toner and places them on his cheeks, chin and forehead for around 10 minutes for an extra shot of hydration, adding a double layer of moisturizer afterwards in order to arrive at his destination looking bright like a diamond. Key likes to keep things real. More than once he’s talked about his struggle with blackheads and how he needs to stay on top of his skincare game to keep his skin smooth. To accomplish this, he relies on nose patches to keep his pores dirt-free. 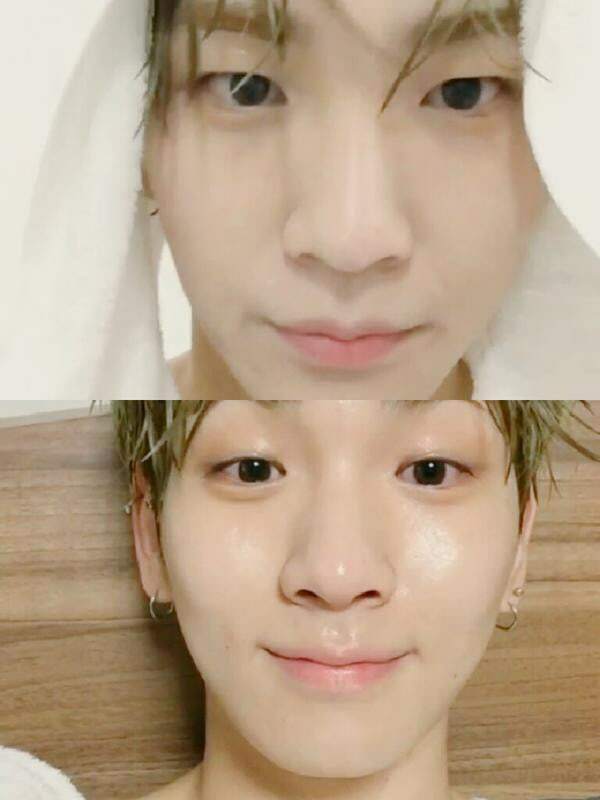 At least once a week, he’ll wash his face with warm water, apply some toner, and then use a blackheads nose patch to remove all the waste and dead skin cells sitting on top of his pores. I think we all agree Tzuyu’s skin is a source of envy. Always flawless and smooth, her complexion seems to be perfect no matter the situation. A few years ago, she revealed that to keep her face super moisturized, she uses more than one sheet mask at a time, layering one on top of the other — now you know why the others call her Phantom Of The Opera while she’s doing it. Sometimes instead of two sheet masks, she uses a silicone mask on top of her regular sheet mask. According to Tzuyu, this will not only keep the moisture locked in but your skin will benefit from multiple ingredients at once. You’ve probably heard about the Seven Skin Method already, but in case you haven’t, this technique calls for applying seven layers of toner in a row in order to deeply hydrate your skin. 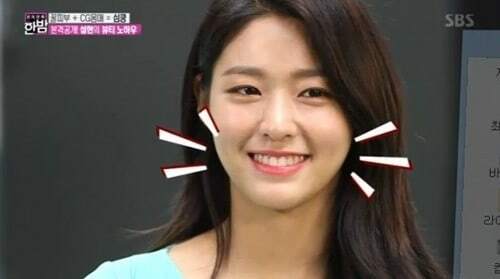 While many stars, beauty gurus, and idols have talked about how they love to use this method, Seolhyun is truly an advocate and wants everyone to join the movement. She also recommends to pat your face until each layer is totally absorbed before applying the next one in order to not saturate your skin.